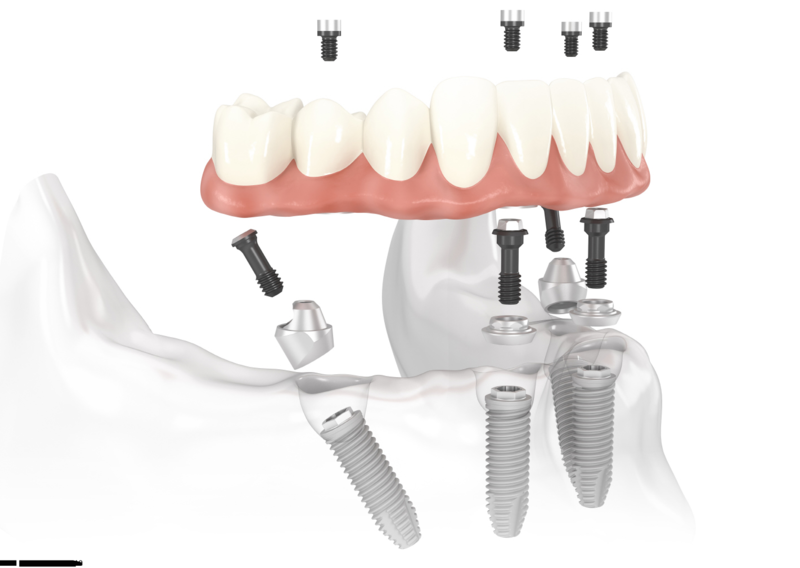 This is a protocol that uses a specific placement of implants immediately following extractions to allow an immediate prosthesis to be placed that is fixed in place during the healing period. After the healing process is complete, a new prosthesis is made that has a metal bar connecting the implants together helping to stabilize the implants and prosthesis. This process is completed with the help of a surgical specialist (Periodontist or Oral Surgeon) and the Prosthodontist (restorative specialist) at our dental office in Overland Park, Kansas City.